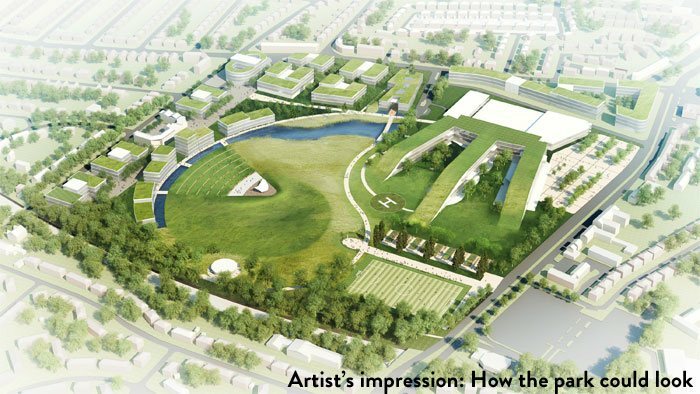 Alder Hey and Liverpool City Council have been working on plans to develop the Alder Hey campus and reinstate and enhance Springfield Park. There are two main elements to this; the enhanced park and a residential development which will meet strategic housing provisions for the City Council. The proposed residential space will include a crèche, elderly living accommodation and apartments suitable for key workers and hospital staff and some retail space for a café and/or small shops. Alder Hey has been in consultation with local community representatives, our staff and families of patients at the hospital over these developments for some time. There has been significant confusion over the plans since they were submitted in December. In part this was because two separate planning applications were made for the Park and a residential development on the periphery of the site, so it was difficult to envisage the overall scheme. In addition we were only able to share the potential number of residential units with no further details of the types of accommodation, and this lack of authoritative information left misinformation unchallenged. For example, we have always remained committed to our promise to re-instate Springfield Park. Therefore we have jointly agreed with the Council to take additional time to consult more widely with the local community and enhance the plans. The two separate planning applications will be re-submitted as a combined plan for both Springfield Park and the residential development. Also, plans for the residential development will be progressed to a far more detailed stage; this will mean we can share information on the composition of the buildings and drawings of what the potential development could look like. Since the outline plans were developed by Alder Hey and the Council and submitted in December 2016, we have listened carefully and we fully understand people’s concerns. Consultation will continue after the submission of the combined planning application. We will engage in a number of consultation events with the local community to discuss the overall plans. We anticipate that this will happen in April 2017. Our intent has always been to greatly enhance the area and create something special for the whole community; that vision remains unchanged. Why didn’t the Trust put a joint application in the first place? Hindsight is a wonderful thing and we should indeed have done this. It was simpler for us internally to have 2 separate applications, but of course this created difficulty for people to see what the whole programme looked like. Why didn’t the Trust wait to have this type of detail it refers to? Initially we applied for what is called ‘outline planning permission’ and hoped to have this granted prior to us appointing a developer. This would make the project more attractive for any residential development partner as there would be more certainty around planning permission. The next step after appointing a developer would be to submit more detailed plans for approval, which would also be subject to the planning approval process. At the point we applied for outline planning permission we did not have a development partner appointed so we were unable to share detailed drawings of the schemes as there were still 3 options from 3 different developers. In hindsight this meant that there was not enough information for people to understand the overall intent. We want to rectify this.